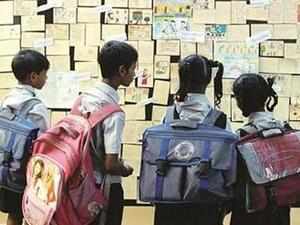 CHANDIGARH: Punjab government today said it has decided to grant permanent affiliation to all the private schools of the state to relieve them from the cumbersome process of applying for affiliation every year. The decision to this effect was taken by Punjab Education Minister Daljit Singh Cheema in a meeting with the officials of the department. With this decision of the education department, permanent affiliation has been granted to 9,487 schools. Disclosing this here today, Cheema said earlier, all the private schools of the state were granted affiliation on yearly basis and they had to apply every year to get affiliation under Right to Education (RTE)Act. He informed that the schools have been granted permanent affiliation, following the guidelines of RTE Act in letter and spirit. Cheema also appealed to the managements all the private schools not to misuse the big relief granted by the Education Department and always follow the guidelines of RTE Act. He made it clear that if any of the schools is found violating the guidelines, then it would be strictly proceeded against. Minister also instructed the departmental officials to keep regular checks on the schools to make sure that the RTE Act guidelines are being adhered to. In the meeting, Director General School Education Pardeep Agarwal, DPI (Secondary Education) Balbir Singh Dhol, DPI (Elementary Education) Harbans Singh Sandhu and Additional State Project Director Gurjeet Singh were present.